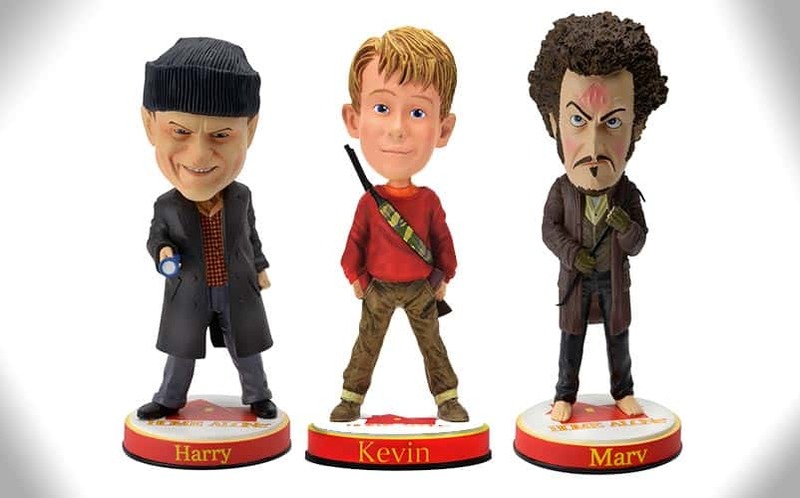 These Home Alone Bobbleheads Are All We Want For Christmas | Nerd Much? Bobbleheads might not be as popular as they once were, but this is Home Alone we’re talking about, here. On Tuesday, the National Bobblehead Hall of Fame will release these brand new, limited edition Home Alone Bobbleheads that have been over two years in the making. There will be three of these bobbleheads available, including Kevin (of course), Marv, and Harry. These Home Alone Bobbleheads were designed by NECA exclusively for the NBHoF, and they’re officially licensed by 20th Century Fox. There will be limited quantities available, as Neca is only producing 5,000 Kevins, 3,000 Marvs (complete with an iron-branded forehead), and 3,000 Harrys. The bobbleheads will be available for purchase at the official store and on Amazon this Tuesday. Each of the bobbleheads will run for $30, with the trio totaling $80 if you buy all three. Of course, watching the Home Alone movies (we only count the first two movies as true Home Alone films) is a yearly tradition around the holidays. Not only does the original film hold the record for the highest-grossing live-action comedy film and Christmas film of all-time, but it also reminds us that Macaulay Culkin was once a cool little dude. You can find out when Home Alone will be on TV in December with our handy list of all of the Christmas movies on TV this year, and stay tuned to Nerdmuch.com for all of the nerdy Christmas things. Buy the Home Alone Bobbleheads here.